Back pain and backaches are an all too common complaint for people in the modern age. No it’s not new (we’ve always dealt with back issues), but it’s a challenge we humans face that gets exacerbated by today’s lifestyles. The spine is one of the most important parts of the body and needs to be cared for. Luckily, essential oils can help your back pain feel better. 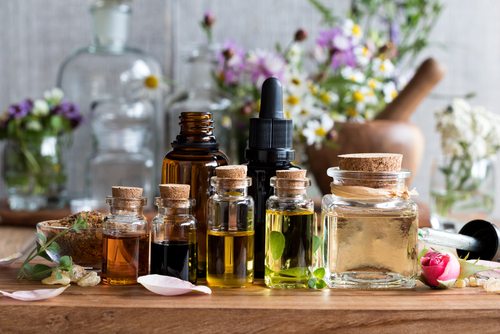 In this post you’ll learn a great deal about how you can apply essential oils to improve your back pain [as a temporary pain relief solution]. It’s important to remember that you’ll need to fix what brought about the pain in the first place to really stop the pain at it’s root to feel lasting relief from back issues. However, for now let’s cover essential oils – which provide a fantastic solution for flare ups of back pain. Basil is an ideal oil for tight muscles. It helps relax and loosen up any muscular tension wherever applied. Basil is also a great oil for the nerves / mental fatigue.